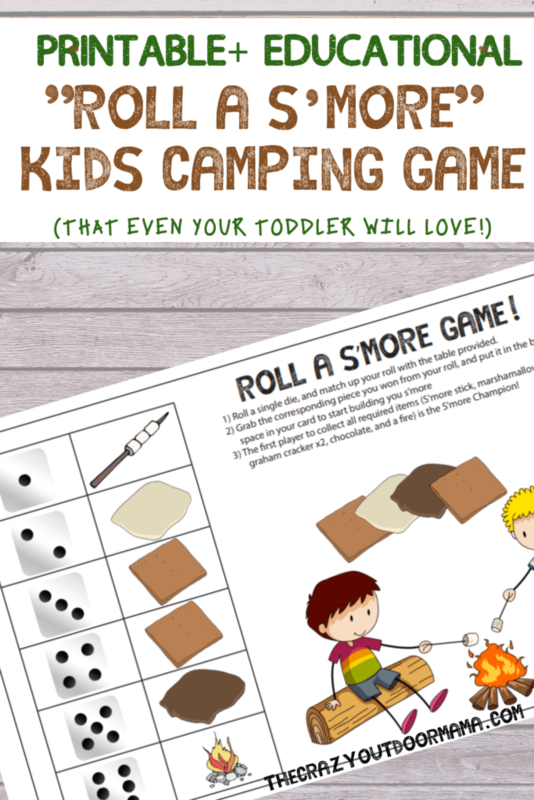 If you’re like me, and tired of using the excuse that the kids are too young to play board games while camping, then you will absolutely love this fun s’more building board game for kids that is not only fun, but educational too! I can’t tell you how much I freaking love board games – we played them a ton growing up, and there was always so much laughter and conversation! 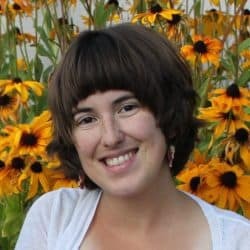 Now that I’m a mom, I feel like board games are even more important because they are a way to make us all actually sit down together and play! Naturally, conversation happens as well as some healthy competition (though to be fair, my husband would disagree – I’m pretty competitive LOL). The problem has always been getting to the age where a board game would actually hold his attention. After awhile, I do feel guilty using TV so often while camping in bad weather..
Anyways, here is the game! I will include modifications for even younger kids who can’t count yet! Any additional materials to further “ruggedize” the cards for use, such as laminating paper or tape. What all is invluded with this camping s’more game? 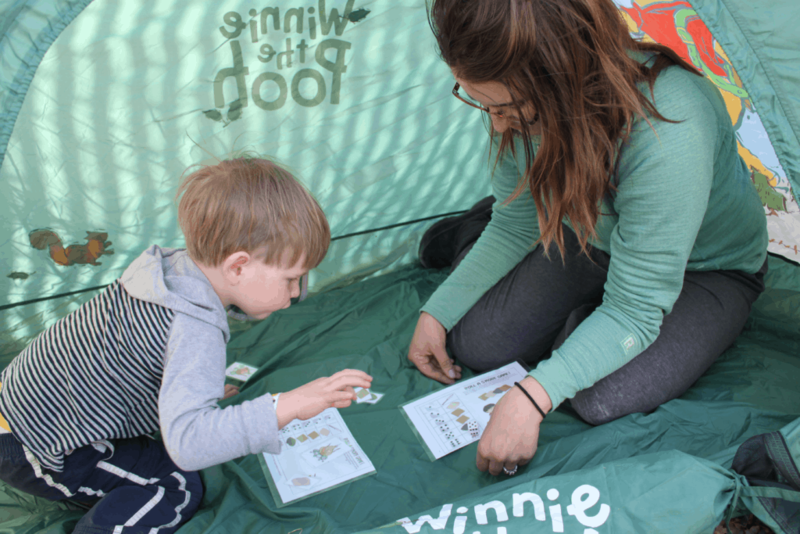 There are so many fun games to play while camping (I like scavenger hunts or BINGO because they encourage exploration!) but I especially love this game because of how much conversation is had, as well as learning, matching and counting! What’s included in this game? 3 Player Cards – There is a whole page of cards, so print as many as needed if 3 isn’t enough! 1 page of extra large printable pieces – Perfect for little hands to grasp! 1 optional printable picture die – This is really helpful for the yong toddlers who can’t count, or maybe still struggle quite a bit. Just assemble it, and roll it just like a die, but instead match the pictures instead of the die amount! When is a good time to use this educational camping game? So you might think that you’ll have a blast camping with the kids, and they’ll find stuff to do, and the weather will be perfect… and it likely it will be! If you want to break up the day at camp – afternoons feel so long sometimes! 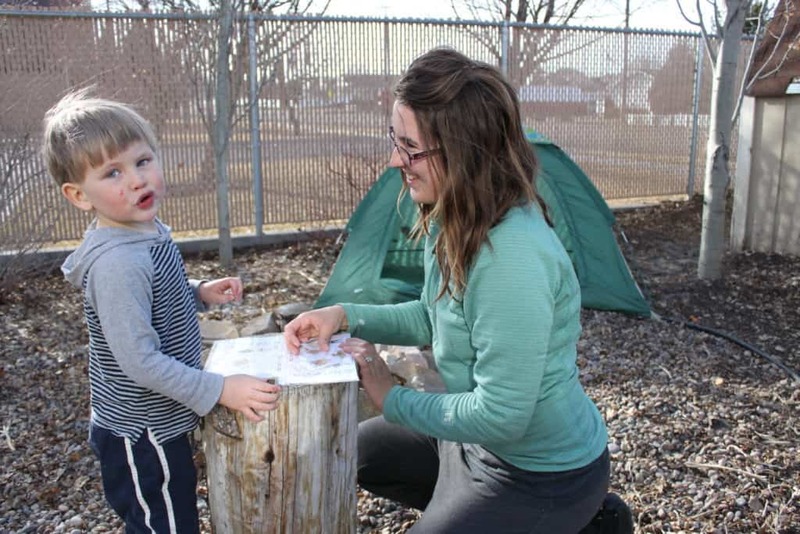 During camp week at school – Preschoolers will get a kick out of getting to make their own s’more, and the game can be tailored to the level of the students! (IE picture die or traditional die). They won’t even realize they are learning! At home as fun counting and turn taking practice – I love working on these kinds of skills at home, and as we all know, kids learn best through play! 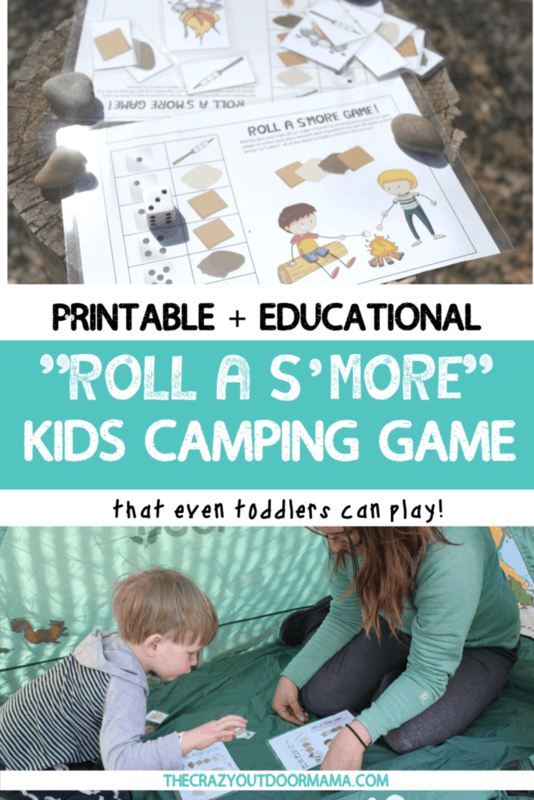 How to play the “Roll A S’more” printable camping game! These directions are also listed on each game card, but I will try to give an even more detailed explanation here! Cut out all the game cards. If you don’t have any real items to simulate the items in the game (graham cracker, marshmallow, roasting stick, fire) then also cut out the game pieces that are on the last page of the packet. Give each player a “blank” card (the game card with no pictures in the middle of it) and give an older child or adult the “master” card (it has the picture of the children cooking the marshmallow). Give the person with the “master card” all the s’more pieces – they will be in charge of handing them out based upon the rolls. The first player rolls the single die. Match up the amount shown on the die with the table provided on the card. That player will receive whichever item their roll corresponds with. Put the pieces received in the blank space of the card to start creating the s’more! If a person rolls the die and gets an item they already have, they just lose their turn and it is the next person’s turn. Whoever gets all 6 of the required items to make a s’more first wins! That looks like a lot of instructions, but basically you just roll the dice till you get all 6 items needed to finish the s’more! Me and my preschooler having a practice camp out and playing our s’more game! This game does cost $5.00 to buy, but it is seriously cute and I think you’ll love it! Luckily I do have a lots of free cute printables too! 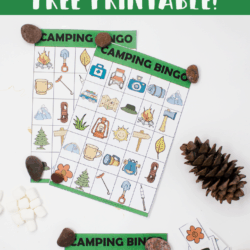 Camping BINGO – I mentioned this earlier, and it’s perfect to play as a matching game or traditionally with your kids or a classroom! 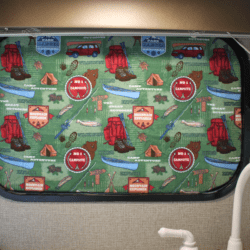 9 Page Camping Planner – This is a handy pack of everything you will need to have a great trip with the kids: A pack list, meal planner, kids songs and activities, and camp activity planner!